This is very fun! I like that you have text within the level. The name really does describe the whole game. The game screams simplicity, with the bi colour artstyle, and the presence of only two mechanics, but what you achieve with that simplicity was really awesome. The only suggestion I would have is variable jump height, there were times when I would jump and only just hit my head on a red block, which was pretty frustrating. Cool! I liked the mechanics of the game! It managed to be fairly challenging while not being too frustrated to play. This has very good tutorial. Movement mechanics is very good. Very addicting game overall. The only thing is that the music is a bit monotonous after a while. This is literally the game of "Never judge a book by its cover." 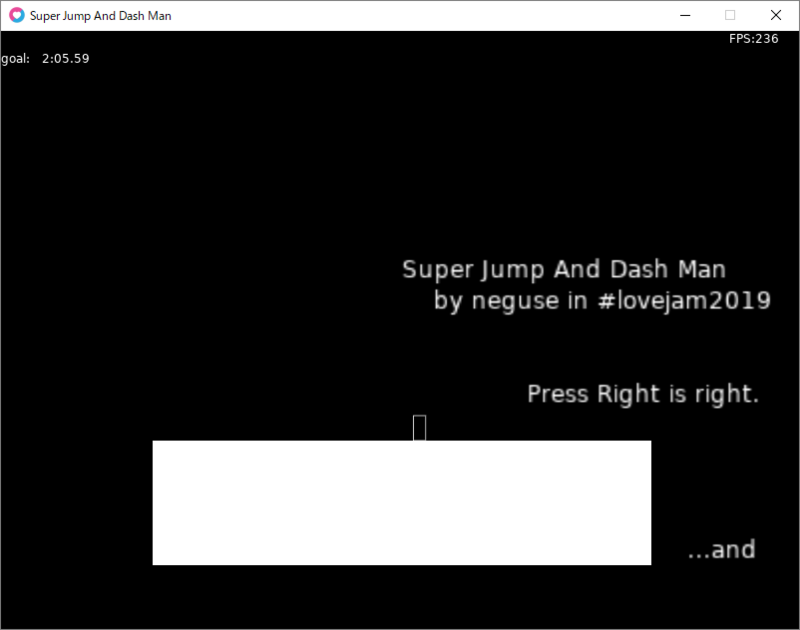 I got 8.58 in my first try and will try some more time to get a better timing. Great job! Hi! I had speedrun this game. My best record is 2:05.59. Can anyone beat this record? I completed the game. Really enjoy the movement in this game, the dash and jump mechanic is very well made! The graphic is simple but effective (it shows whether player has double jump and has all the information on the screen etc...). The progression is there as well, starting from easy to hard so player can learn the game first.. The only thing I don't like is how the camera move in and out when the player is moving, especially noticeable when you move and stop frequently. But this might just be personal preference. The difficulty is well adjusted. For more enjoyment, you should play with the keyboard. It has further encouraged pleasure.